Both the Celsius and Fahrenheit scales include temperatures that are below zero degrees. However, the 0 degree point on the two scales do not line up on a 1-to-1 ratio, so some temperatures are negative in Celsius but positive in Fahrenheit. 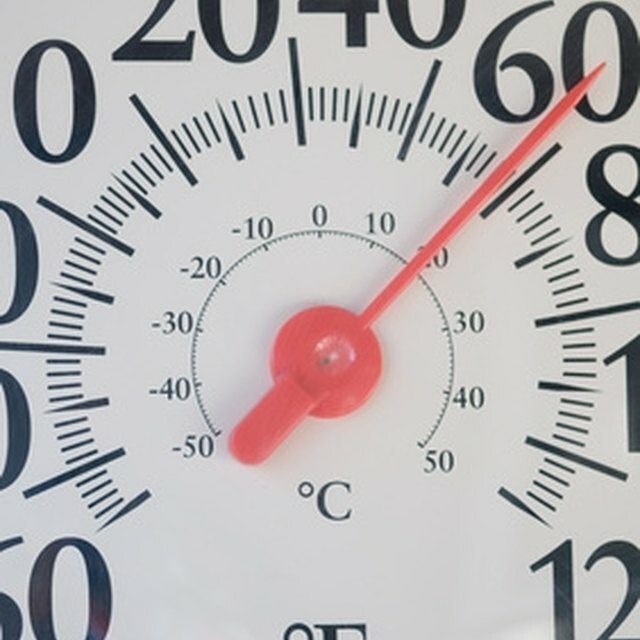 How Do Fahrenheit and Celsius Match Up? On the Celsius scale, water freezes at 0 degrees -- in Fahrenheit, water freezes at 32 degrees. Because of this, all temperatures between 0 and 32 degrees Fahrenheit are positive on the Fahrenheit scale and negative in Celsius. Zero degrees Fahrenheit lines up with -17.778 degrees Celsius, so all temperatures below -17.778 degrees Celsius are negative in both Celsius and Fahrenheit. Also, at -40 degrees Celsius and Fahrenheit the temperatures match up. So, -40 degrees Celsius and -40 degrees Fahrenheit are the same temperature. So, to convert a temperature from Celsius to Fahrenheit, you multiply it by 1.8, then add 32. Say you want to find what -10 degrees C is in Fahrenheit. First, multiply -10 by 1.8. Remember that a negative number multiplied by a positive number is a negative number. So, -10 degrees C is 14 degrees F.
You can also convert a negative Fahrenheit temperature to a Celsius temperature. So, -45 degrees Fahrenheit are -42.78 degrees Celsius. The Weather Prediction: When Are Celsius and Fahrenheit the Same? Zamboni, Jon. "How to Convert Negative Celsius to Fahrenheit." Sciencing, https://sciencing.com/convert-negative-celsius-fahrenheit-7414093.html. 30 April 2018.